Fuel your immunity with the world’s most popular vitamin – vitamin C! Vitamin C is an antioxidant and plays a significant role in a variety of metabolic functions. Its crucial for connective tissue and healing as well as your immune system. 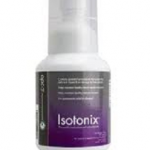 The Isotonix formulation is one of the most easily absorbed formulations on the market..
Omega 3 is deficient in most of our diets because we eat too many Omega 6 fatty acids (which block Omega 3 absorption) Yet its crucial for healthy cell membrane function. This in turn affects our Health, especially our Nervous and Immune systems which modulate our body’s control, coordination and helps fight disease and cancers. 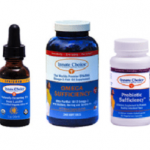 Omega 3 is found in fish oils, this formulation is rich in the beneficial EPA and DHA chains. . Vit D is another nutrient which is deficient in most of us because we dont make enough ourselves. Vit D is crucial to our health. 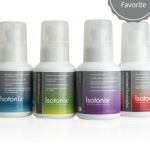 These formulations are best on the market and my family use them every day. OPC-3 contains powerful antioxidants and anti inflammatory agents. It functions by protecting you from free radicals. Free radicals are known to cause damage to our bodies by acting as a key contributor to cellular damage and cell mutation. Free radicals are produced in our body’s every day, especially with inflammatory conditions and exposures to toxic agents like alcohol, smoking and pollutants. 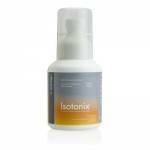 The Isotonix formulation is one of the most easily absorbed formulations on the market. These formulations are helpful for Muscle Relaxation (Magnesium), Bone Density (Calcium) and Nerve Health (Vit B). 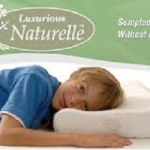 The Isotonix formulation is one of the most easily absorbed formulations on the market..
Good Pillows support your neck and shoulder when you’re sleeping on your side and back, they should also discourage sleeping face down (which is bad for your neck). These are trusted and tested brands that i recommend to my patients to help prevent reaggravation of neck related problems. Support belts and Orthotics can be useful for instablity and poor alignment. These are prescribed as part of your care, when necessary. For more information, contact Dr Jerome Dixon.